As I try to protect her from afar. Hold her tight in my arms as we both fall onto the pavement. Till I’m sure she can no longer find me. Her words echo in my mind as I close my eyes. Until you struck my heart like a lightning. Reborn on this land, to protect you. And return the future that you want, the dream that is deprived from you, into your hands. Once upon your burdened heart. I try to run away, but this time, it’s too late. Her voice is an arrow that shoots right through me. She would never find out. “I’m too broken to be called an angel. Otherwise, my tears will fall. Her sudden grip on my wrist. The first drop of crystal along the silhouette of my face. Her chin resting on my shoulder. Her hug is so tight, I can feel her heart pounding against mine. Our strands of hair are entwined. Written on 13th October 2014; second installment in the trilogy. My adventures of becoming who I am. 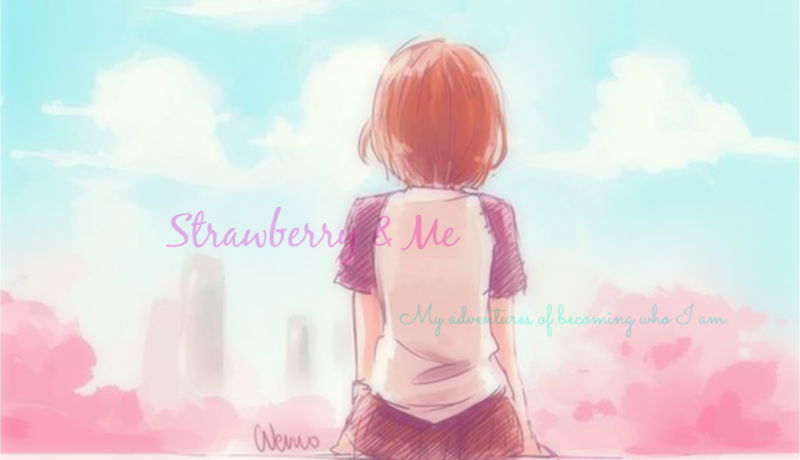 My Tea of Consciousness | Strawberry & Me on So Who’s Strawberry? Cast the Revealing Charm to find out if you are a wizard, a witch, or a Muggle! If you are a wizard, you will receive notifications of new posts by our newly digitized Owl Post (real owls are endangered so we are trying to protect and conserve them). But if you are a Muggle...Obliviate! Live, Love, The blanket of life.